If you need radiator repair, replacement, or installation for your home, industrial, or commercial property, Burnell Mechanical Ltd. has the best mechanical technicians in Toronto that can get the job done, quickly and efficiently. No job is too big or small for our highly skilled plumbers – we’ll be in and out in no time, leaving your space as clean as it was when we arrived. 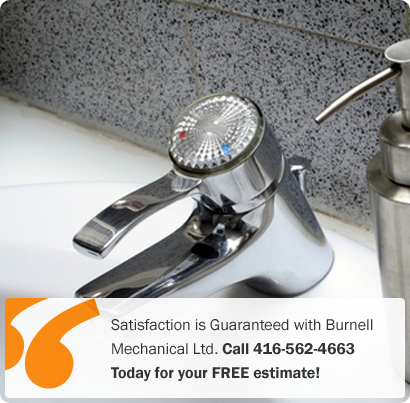 With Burnell Mechanical, you’ll get the top-quality Toronto plumbing service you expect. Our knowledgeable, licensed Toronto mechanical technicians are available around the clock to assist with consultation, sales, installation and repair for your plumbing needs. We’re even available after hours in case of emergency! Clogged drain? No problem. If you’re searching for the best drain service in Toronto, look no further. Burnell Mechanical Ltd. expert mechanical technicians have been servicing residential, industrial, and commercial clogged drains in Toronto for over 20 years. Whether your job is big or small, our highly skilled Toronto plumbers get the job done in no time, leaving your space as clean as it was when we arrived. 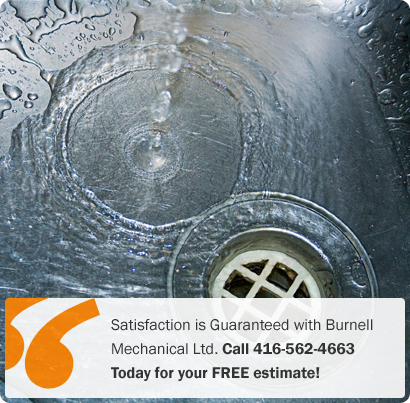 Call Burnell Mechanical Ltd. and get the exceptional quality drain cleaning service you expect. Our knowledgeable, licensed Toronto mechanical technicians are available around the clock to assist with consultation, sales, installation and repair for your clogged drain. We’re even available after hours in case of emergency! Whether you’re looking for assistance with an entire drainage system or a simple drain cleaning, Burnell Mechanical Ltd. can help.